The newest project of Apeiron condominium in North Miami promises to erect a new level of international architecture and design, personal service and exemplary life style, where every detail is carefully chosen and designed for supreme comfort and pleasure. The first phase of Apeiron at the Jockey Club project will be 45-storey residential tower with 120 luxury residences varying from 2 500 to 4 500 square feet in size and a boutique hotel with 90 rooms. Condominium Apeiron will nestle on picturesque territory of the Jockey Club, breathing new life into elite club community. Occupying an area of 22 acres by the water, the Jockey Club offers a vast panorama of Biscayne Bay and the ocean, stretching from Key Biscayne to Golden Beach. 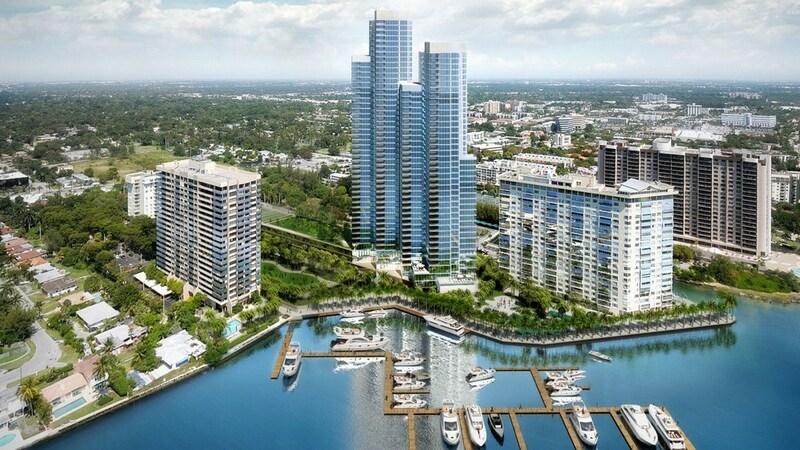 Residents of Apeiron at the Jockey Club will have a deep-water harbor with 38 marinas for large-sized yachts, luxury wellness center, tennis courts, swimming pools, Spa, recreation zones among the scenic tropical nature and world-class restaurants at their disposal. Apeiron at the Jockey Club was designed as a dynamic living space, where world-class service and exceptional amenities, leisure and entertainment, culture and art will be intertwined. This is a perfect place to maintain your health, welfare and youth.